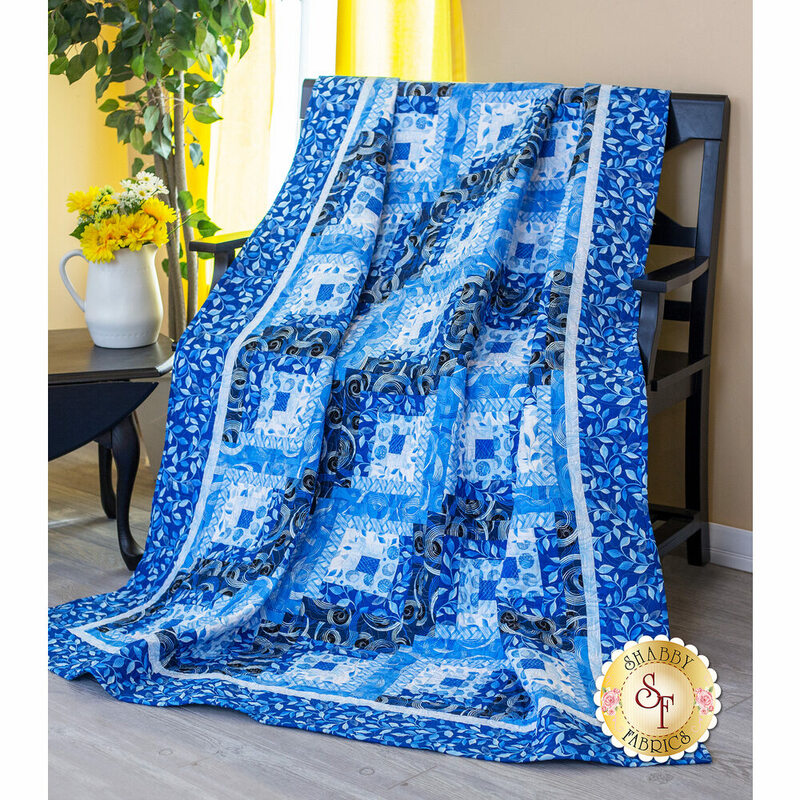 Create a breathtaking quilt using the well loved log cabin block with a twist in the Curvy Log Cabin Quilt, now in Blue Brilliance fabrics! The blocks are built in a very similar fashion to traditional log cabin blocks however, in the curvy log cabin blocks, the "logs" on one side are slightly larger than the "logs" on the other, giving the quit a curvy illusion. 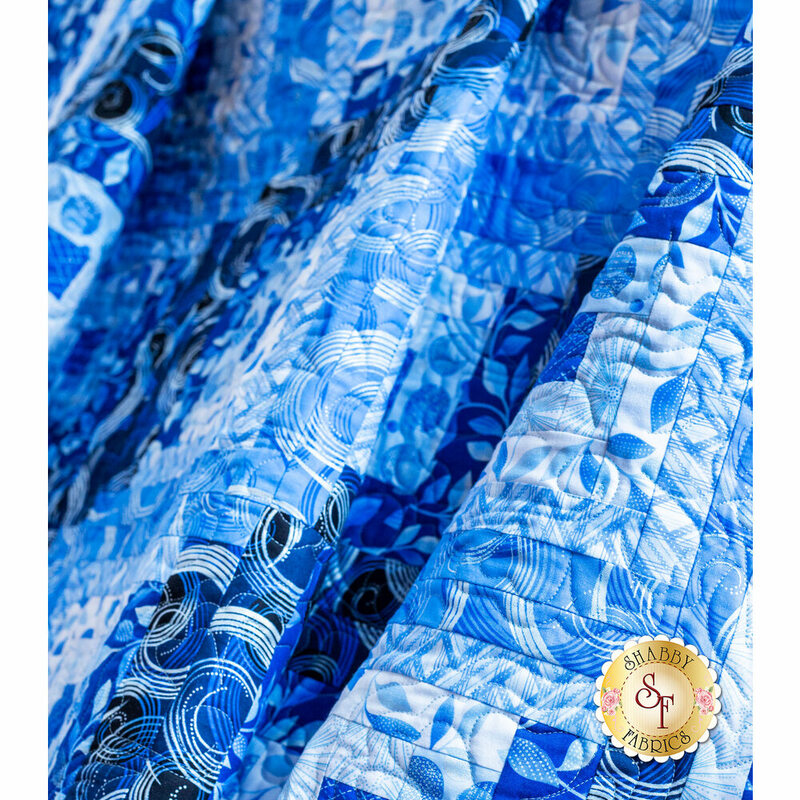 This visually stunning quilt showcases gorgeous hues – from deep navy, to subtle blues, each featuring a pearlescent accent! This one of a kind show stopper is sure to be a favorite you'll want displayed year round! 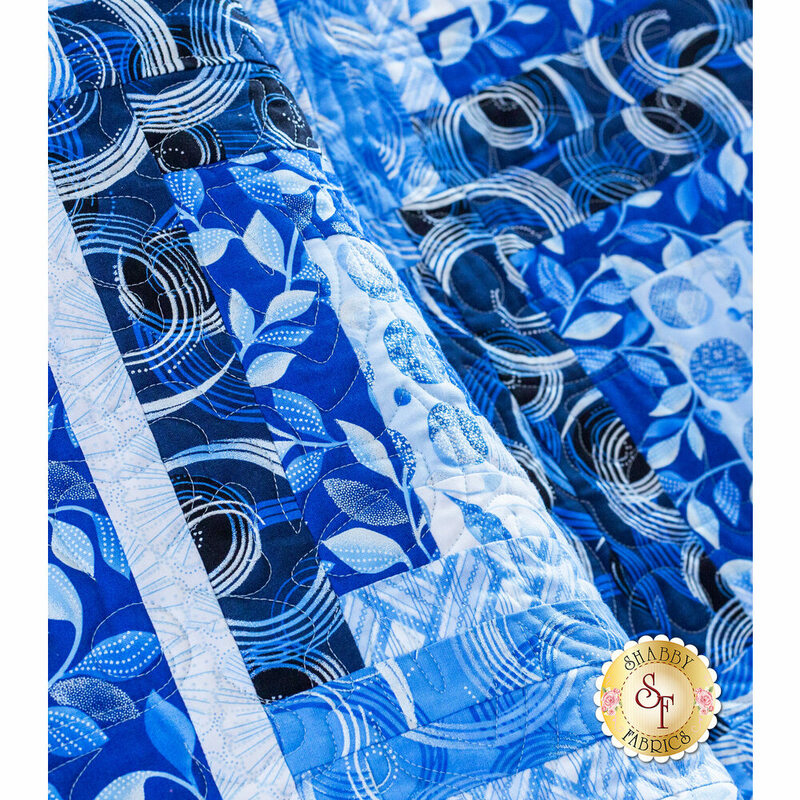 Quilt measures approximately 61½" × 71½". A stunning coordinating pearlescent backing is available below!